Dubbed a "continuo wizard" by Gramophone (UK), David Morris has performed across the U.S., Canada and in Europe on baroque cello, viola da gamba, lirone and a variety of other historical stringed instruments. He is a member of Quicksilver and the Galax Quartet and is a frequent guest performer with the New York State Early Music Association and the Boston Early Music Festival Orchestra. He received his B.A. and M.A. in Music from U.C. Berkeley, and has been a guest instructor in early music performance-practice at UC Berkeley, UC Santa Cruz, UC Davis, the San Francisco Conservatory of Music, Mills College, Oberlin College, University of Colorado at Boulder, the Madison Early Music Festival, Cornell University and Amherst College. He has recorded for Harmonia Mundi, New Albion, Dorian, New World Records, Drag City Records, CBC/ Radio-Canada and New Line Cinema. 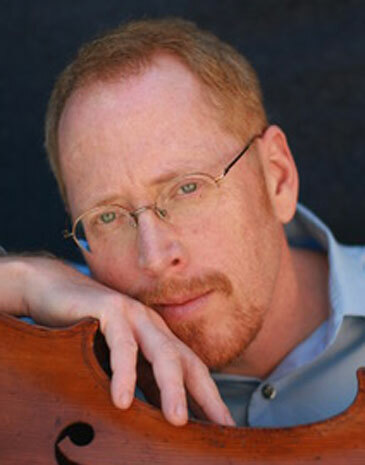 Hear David Morris and Mary Springfels, treble viols, perform John Jenkins (1592-1678) Suite No.2 á3 with Colleen McGary-Smith, bass viol and David Schrader, organ.